Nancy Seymour founded Shining Star Pets, a company focused on increasing the health and quality of life of pets with all-natural supplements. 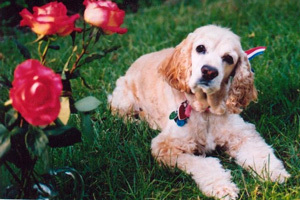 Texas Tech alumna Nancy Seymour, like so many other pet owners, wanted more than anything to prolong the life of her beloved dog, Casey. When Casey began suffering from Cushing's disease, Seymour was devastated – and left wondering why we always seem to lose our pets too early. Seymour considered that, like humans, pets' health could benefit from the sound nutrition made up of a healthy diet and natural supplements. With Casey's illness driving her motivation, she got to work. After extensive nutritional research, she created a supplement consisting of “superfoods” and natural ingredients intended to increase overall health and quality of life for pets. After just three days of providing the daily supplement, Seymour noticed an incredible difference in Casey's health. After 21 days of taking the supplement, Casey's two belly tumors disappeared. With her wellbeing so improved, Casey could once again enjoy the simple canine delights of prancing around the yard and rolling in the grass. 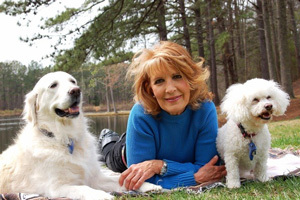 The dramatic increase in Casey's health led Seymour to believe her supplement had really made a difference, and her dream of beginning a pet nutrition company was born. Seymour used the supplement for her other pets, and as her friends began to use it and observe its benefits, a business was launched. 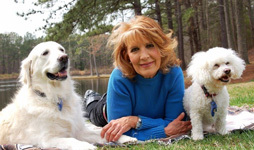 In her ten years of work, Seymour has accumulated a following of loyal fans and has even been mentioned in Dog Living Magazine, Wake Living Magazine, UNCTV and the Raleigh News & Observer. Seymour graduated from Texas Tech with a degree in home sciences, which she said introduced her to her passion for nutrition and the benefits of a healthy lifestyle. What she loved about studying nutrition was its relation to chemistry, which she had always implemented while pursuing her favorite hobby of cooking. 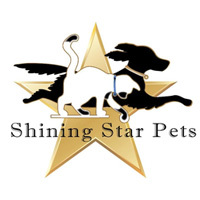 Seymour's company, newly named Shining Star Pets, is now working to use new technologies to reach customers online by launching its new website in February. With the launch of the new website, Seymour plans sell her pet supplements along with providing ingredient information, customer testimonials and creating a library of video blog tutorials on pet-related topics from adopting rescues to training a new puppy.